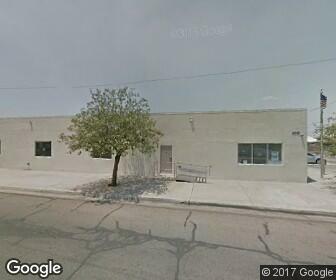 You can reach Social Security Office in Douglas, Arizona at the following street address and contact number, as well as using directions below. Please, share your experience about visiting this office, provide a review using the form at the end of this page. I bthink they were & continue to be very HELPFUL, HUMAN, & EMPATHETIC! Forced to moved 34 hours away & they are still MY SSA office. EMAIL ADDRESSES OR 5 DIGIT PHONE EXT# OF EMP!OYEES?????? please help.you would be doing your good deed for sure! I have had an EXCEPTIONALLY difficult time with oh everything & I can take on a lot, but external help for simple matters like this are so hard for me to obtain, for some reason. Drove 100 mile round trip to update my Information and address,After 6 months still never received any mail from them.Called and a lady from Orgen with Social Security answered phone,Told her my problem she checked my records and informed me all info was not correct,The lady took time to correct all info and update my info. Social Security in Douglas AZ does not even answer the Phone,They need to be checked by higher ups. I received a letter from SSA in Douglas and a phone call reminder of my appointment. I called the Douglas office and was placed on hold 2 hours and eventually hung up because it was past their closing time. Does anybody actually answer a call there? How do I make an appointment? Called the number and told me I had a 90 minute wait....crap on that...what is your local number. This office does not keep the customer informed on what is happening to the claims that have been submitted. Causing the customer to call the Douglas Office for answers for which not being given any. Your site does not tell me how to make an appointment so that I may speak with someone. Can you help me there?